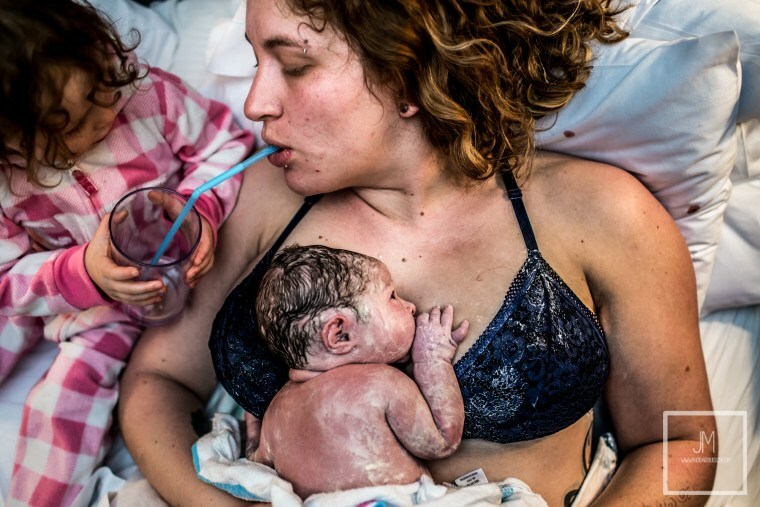 This moment between a mom and her toddler helping her drink following delivery won first place in the postpartum category of the 2019 Birth Becomes Her Image Contest. Photo by Art by Jessica. It almost seems as if time stood still in this picture of a mom gazing at her newborn in a birthing pool. It won first place in the black and white photography category of the 2019 Birth Becomes Her Image Contest. Photo by Cat Fancote. Photographer Bree Downes captured a touching moment between a mom and her newborn following her hospital delivery. 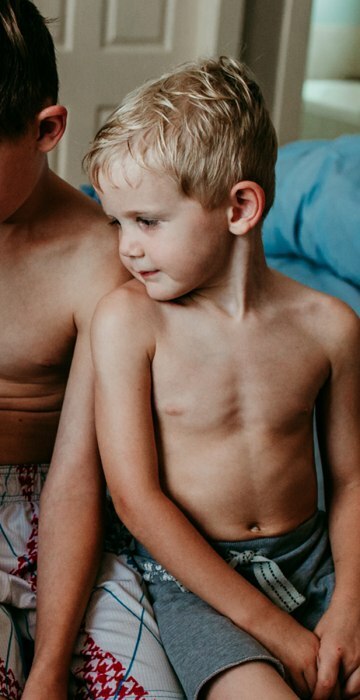 Downes' picture won third place for hospital images. Photo by Bree Downes. 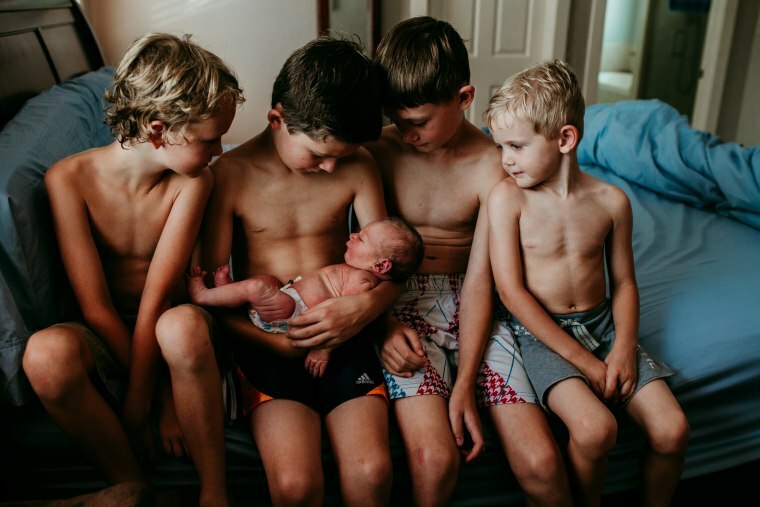 Four older brothers gaze at their new sibling in this picture of post labor calm that won third place in the postpartum category. Photo by Hanna Hill Photography. Many moms can understand the look on this mom's face after delivering her baby. 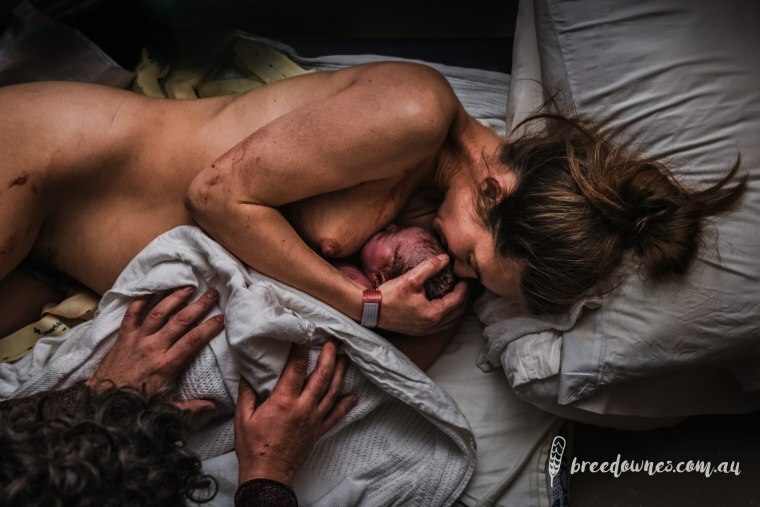 This relatable moment helped the image win second place in the out of hospital birth pictures of the 2019 Birth Becomes Her Image Contest. 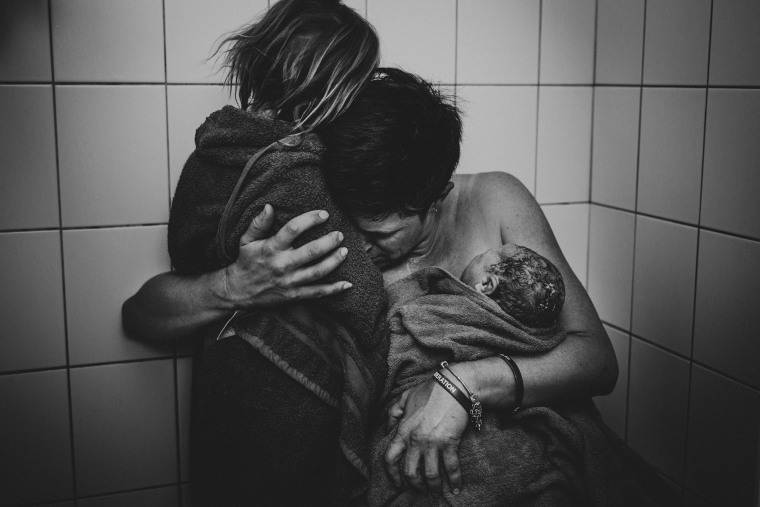 Photo by Micah Lynn Birth Stories. In this third place out of hospital image, a family embraces as the newest addition breastfeeds. Photo by Cradled Creations. A mom and baby resting in the birthing pool before the umbilical cord is cut won second place for color photography in the 2019 Birth Becomes Her Image Contest. Photo by Kendal Blacker. A husband comforting his wife during labor with an embrace won first place in color photography. Photo by Fox Valley Birth and Baby. After labor a mom holds two of her children wrapped in towels. This image won second place for black and white photography. Photo by Sashi Hesson. 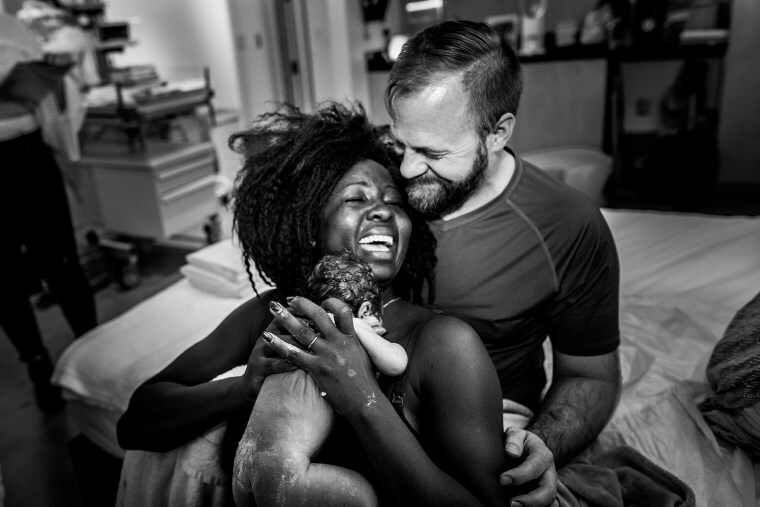 A dad smiling at an exhausted but happy mom, holding their newborn, won third place for black and white photography in the 2019 Birth Becomes Her Image Contest. Photo by Salt Lake City Birth & Newborn Photography. 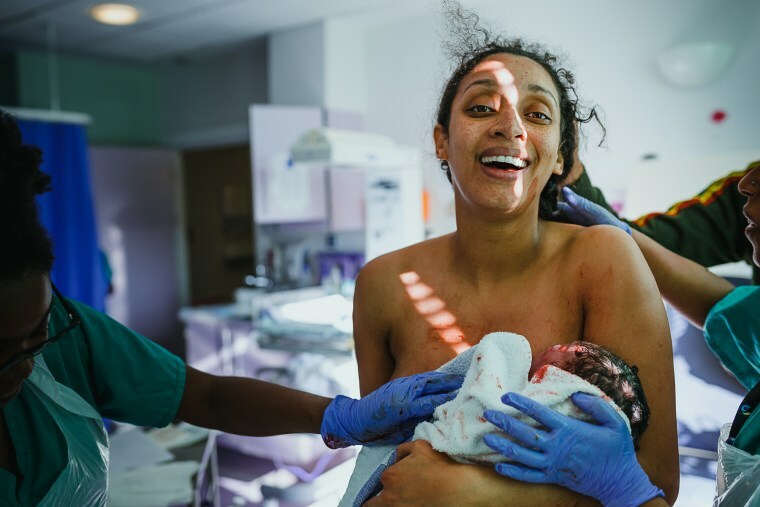 Sadie Wild's photograph of an exhausted mom cradling her baby after a hospital delivery won the 2019 Birth Becomes Her Image Contest for overall best image. Photo by Sadie Wild Photography. This overwhelmed mom holding her baby who is attached to a breathing tube won second place in the postpartum photography category. Photo by Coastal Lifestyles Photography. 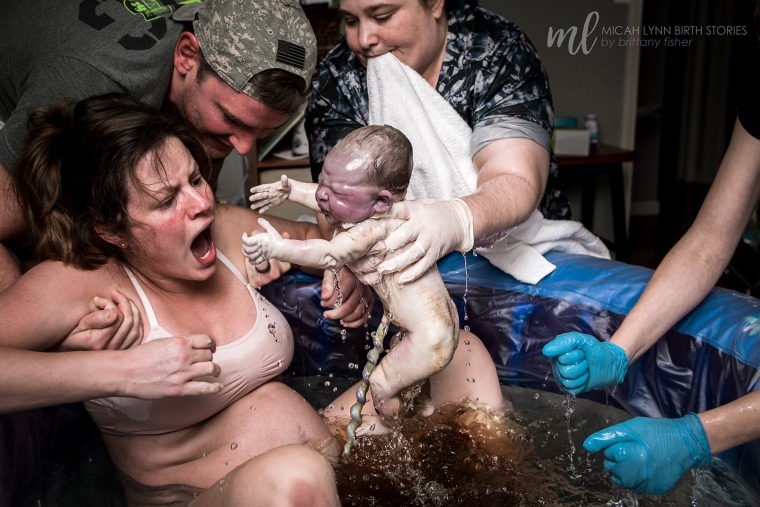 An intimate look at a mom holding her baby in a birthing pool won third place overall in the 2019 Birth Becomes Her Image Contest. Photo by Toni Nichole.